Happy Tuesday! 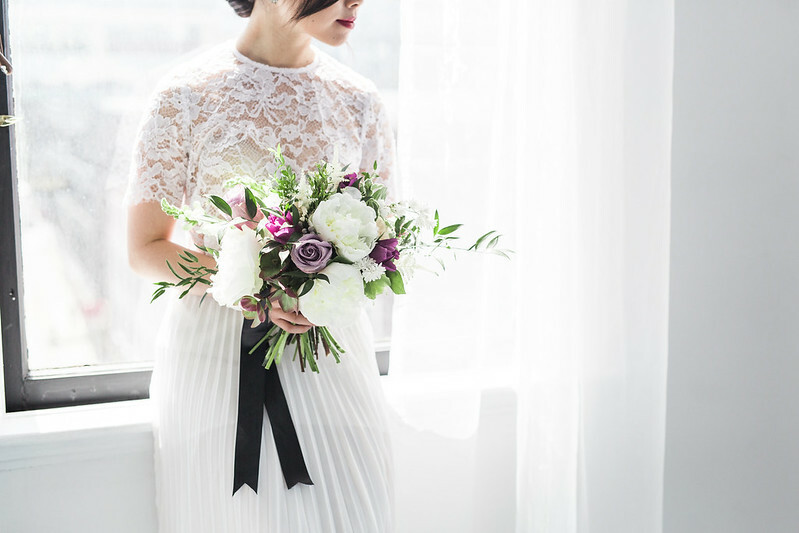 I’m excited to share the last — and arguably my favourite — instalment of our three part floral bridal hair story today (see parts one and two here). 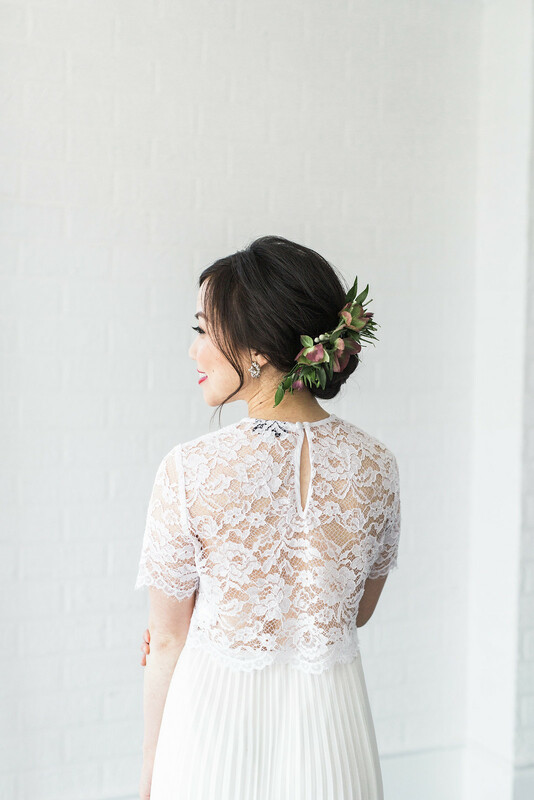 This was definitely the most explicitly all-around “bridal” look we did, mostly because I’d actually planned to do my wedding day hair just like this and wanted it to be as true to the day as we could make it. 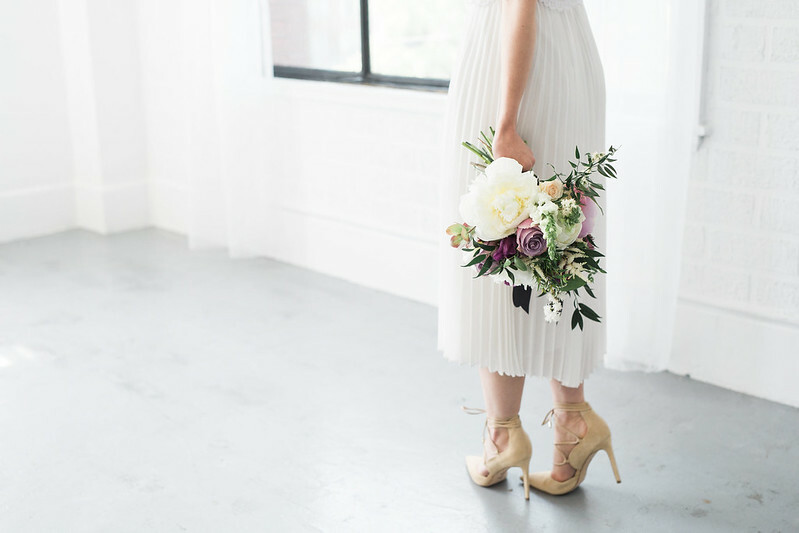 I wore my wedding shoes for this outfit, along with a lace topper and skirt that loosely resembled the dress that was being custom made. The make up was similar to what I was envisioning for the real thing: a classic cat eye, lots of lashes, and a bold red lip. 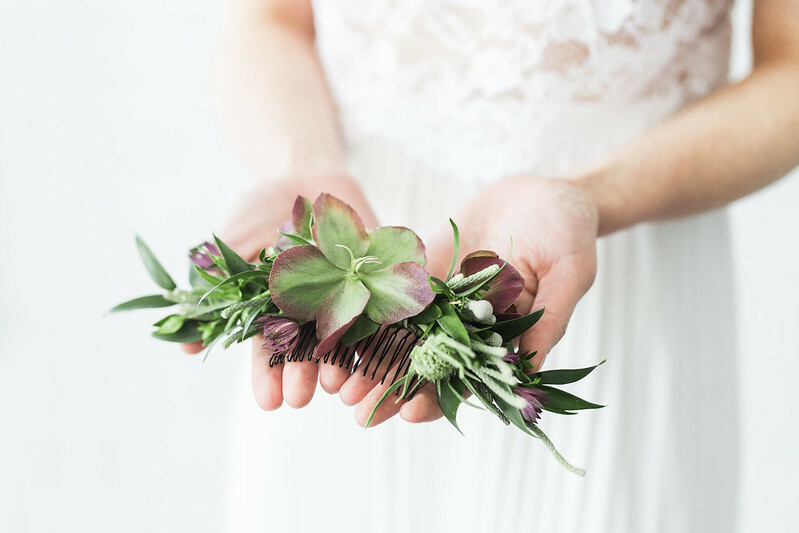 As for the florals, Michelle created an intricate comb out of hellebores, astrantia, silver brunia, and ruscus that perfectly complemented the simple low bun, and even provided a gorgeous bouquet for me to hold. 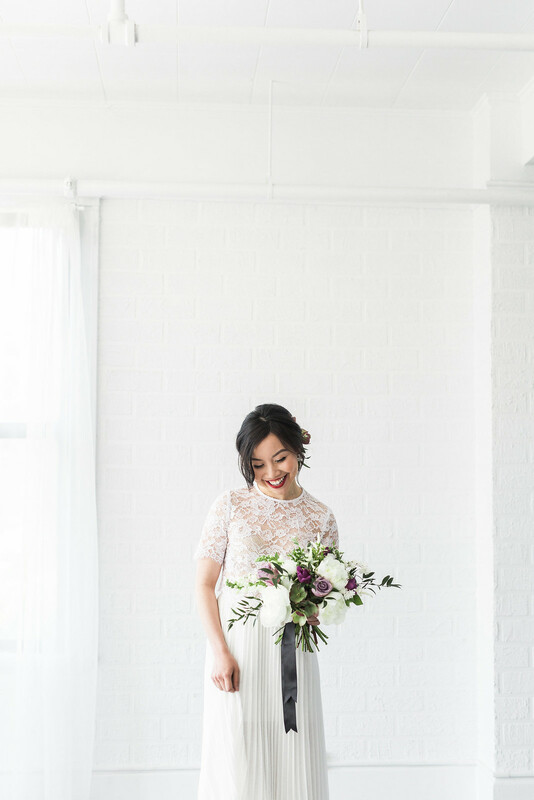 Everything ended up coming together a little differently on my actual wedding day (photos soon!) but this look definitely got me excited as it was the first time I felt like a “bride”. A big thank you to all of the talented women who worked together on this shoot with me – definitely one of my favourite blog shoots to date and I hope you’ve enjoyed reading them too! Gosh, you seriously look so gorgeous. 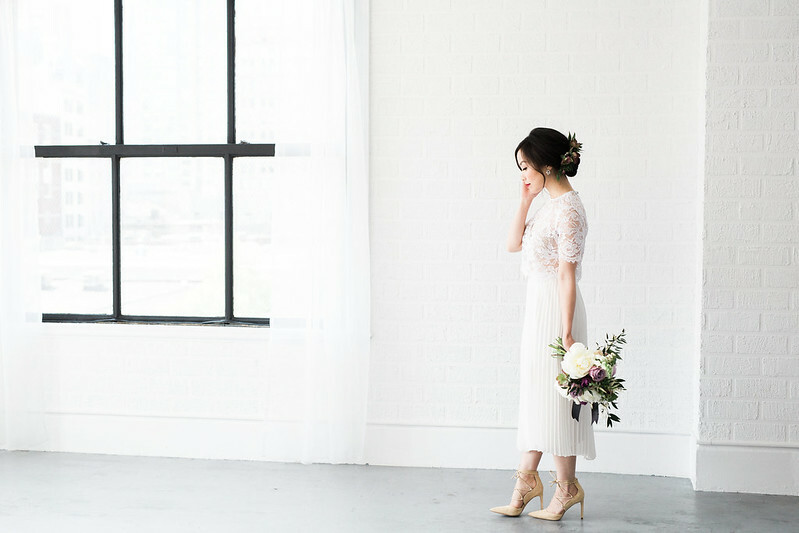 Love the minimalistic backdrop and photos as well! 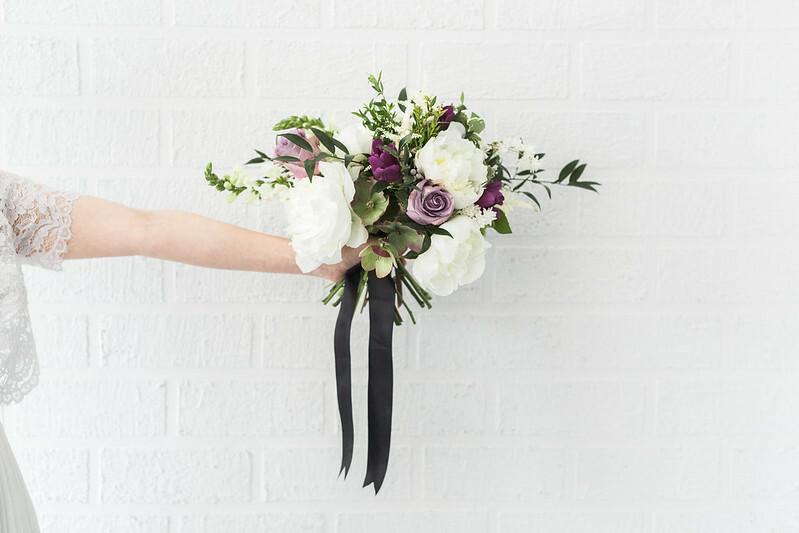 Oh wow that comb and bouquet are stunning! I love these types of fall tones for weddings. It’s so romantic and unexpected compared to the typical pastel colors people usually go for.